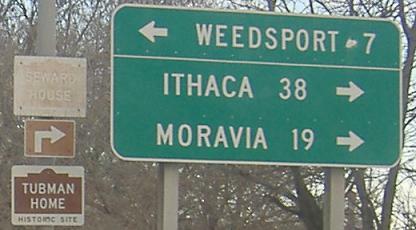 Rather than have US 20 serve I-90, like it does so faithfully to the east and west, NY opted to have I-90 follow the path of NY 5 to the north, leaving 20 all alone in the middle of the western half of the state. 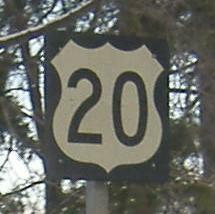 Except for the parts where 20 and 5 come together. 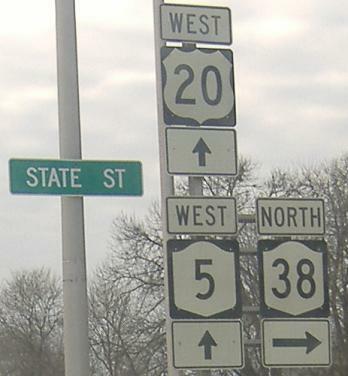 EB at NY 34 where NY 38 leaves US 20/NY 5 and heads south. US 20/NY 5 WB in Auburn with NY 38 NB.